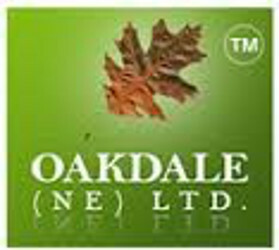 Oakdale provide emergency response to dangerous or damaged trees that might have fallen or snapped in high winds these situations are at the most horrible time damaging winds from Storms causing distress and are frightening as they can happen even in the dead of night. Summer gales and Winter storms can damage trees, Winds can snap parts of Tree or push trees over by breaking their root system especially likely where the ground is saturated by Flood or rain water washing away the soils around the tree roots, due to heavy & persistent rainfall brought in by stormy weather events. These storm can severely damage Trees making them dangerous. This can be enhanced by the presence of Heavy Ivy as it retains its leaves where normally deciduous leaf fall reduces the resistance to wind flow through the canopy. Efforts exerted onto the trees branches by high winds or through increased weight load from Snow accumulation during heavy or persistent Snowfall, or through natural growth weaknesses result in a failure which may go un-noticed due to IVY or lack of inspections. These inherent weakness in the growth habit of the particular tree are not managed. We are normally on hand twenty four hours a day, seven days a week throughout the year. Once instructed by yourselves our Arborist's , skilled tree surgeons can, subject to availability, respond to deal with the danger, we will give advice and make the site safe or where the dynamics are extreme make such provisions as to cordon off the area until a time that the tree can be dealt with. This could involve remedial pruning of damaged parts removing fallen debris or in some cases dismantling the removal of the failed tree. Make a note of our emergency helpline telephone number and bear us in mind if the need arises.